Come one, come all, the carnival is in town! Young and old alike love a good carnival game. 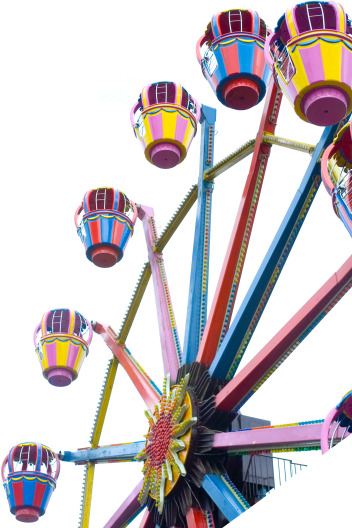 Whether you are wanting to dunk the local town personality in the dunk tank or see who gets the top score in skeeball, there is never a dull moment with some good ol' fashioned carnival games. The best part, of course, of a ball toss, dart throw, or pick-the-ducky game is the prize! So encourage all in town to sharpen up their best gaming skills, come on out to the carnival, and win that big pink bear for someone special. Search for Carnival Games Companies in Essex, Vermont above. Please note that these Carnival Games Companies may also travel to Essex Junction, Winooski, Williston, Jericho, Richmond, Shelburne, Underhill, Westford, Underhill Center, Milton, Hinesburg, Jonesville, Huntington, Bolton, Charlotte, South Hero, Fairfax, Port Kent, Georgia, Cambridge, Willsboro, North Ferrisburgh, Monkton, Grand Isle, Starksboro, Essex, Moscow, Keeseville, Jeffersonville, and Waterbury.